The only full-length study of the Brunei Sultanate from the earliest times to the present. First published in 1994 and a sell-out success, RoutledgeCurzon is pleased to present this new edition, updated to the present. Saunders skilfully elucidates historiographical controversies over important events, persons and developments in Brunei's past which are still important issues in defining Brunei's identity and its political and social systems today. These controversies, over the antecedents of the Sultanate, the date of the conversion to Islam, the reigns of the early sultans, early contacts with Europeans and others, retain their relevance. Newly presented are interpretations of events since 1945 during the transition from protected state to full independence, and thence to the present Malay Islamic Monarchy. 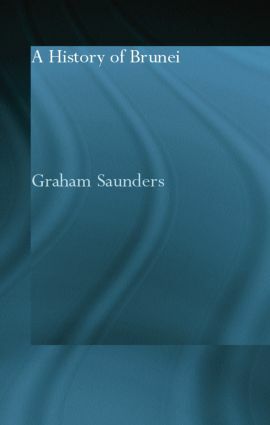 Graham Saunders taught history in Sarawak and Brunei for twenty years. He is an Honorary Fellow of the University of Hull, a member of the Malaysian Branch of the Royal Asiatic Society and of the Borneo Research Council. He is an Associate Lecturer in Pacific Studies with the Open University.